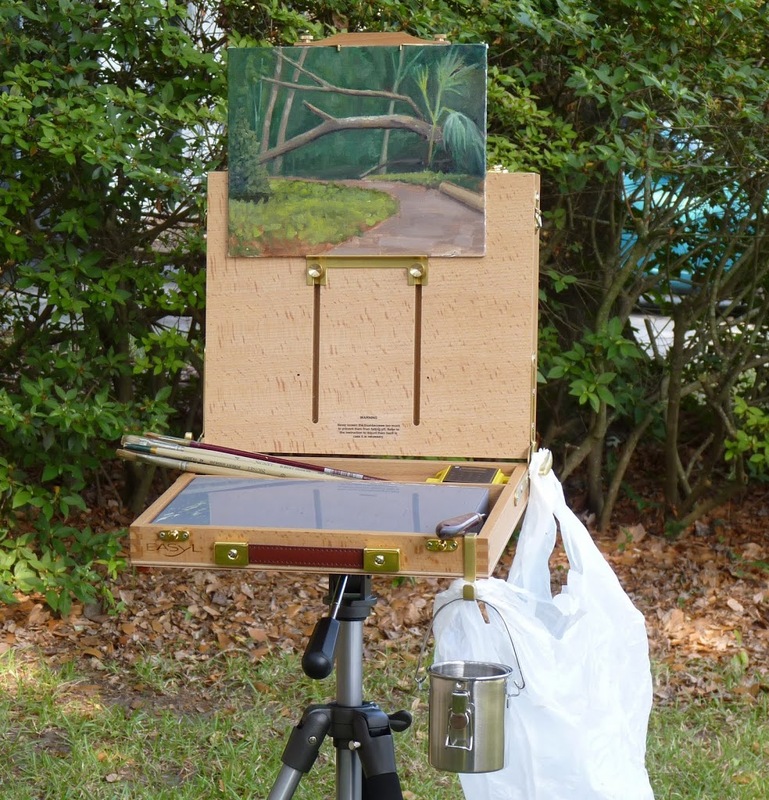 Plein air painting requires light weight and portable gear. Only essential materials should be taken on a painting excursion. Carrying excess weight can limit the distance hiked, and make it more tiresome. 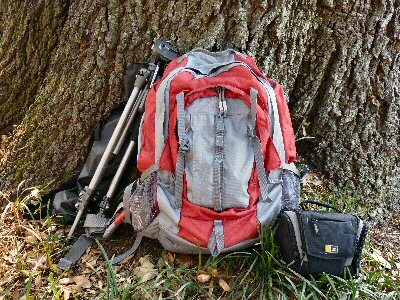 The following painting gear fits easily into a Kelty Redwing 2650 backpack. It has adjustable straps, hip pads, flexible spine, and numerous pockets. Miscellaneous like sunscreen, hand cleaner, bug spray, clips, bungy cords, etc. I also include drinking water, a sandwich or snack, and a small first-aid kit. It’s important to dress in layers to accommodate any weather shifts, to have sturdy hiking shoes or boots, and to wear a wide brimmed hat to protect your eyes and skin from the sun.